Note: This article applies on Window XP, Vista, Window 7, Windows 8, and Windows 10. If your hard disk is almost full and you’re looking to delete some files on Windows to free up disk space. 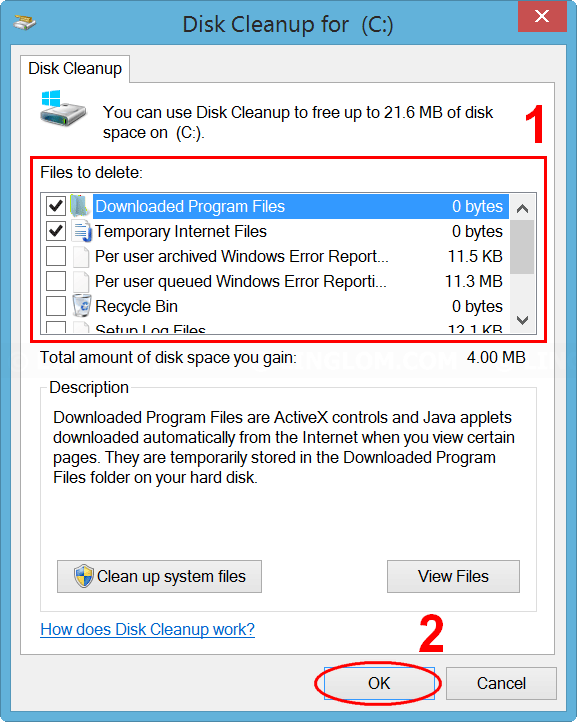 You can use Disk Cleanup, which is a built-in tool on Windows, to delete temporary files, system files, and other unimportant data on your disk. Files that contain webpage for quick browsing. All deleted files in the recycle bin. If you’ve just upgraded or refresh Windows, it will backup previous version on your system. You can choose to delete those files if you are certain that you don’t need to recover any file back. This option will delete or compress older version of updates that are no longer needed and taking up disk space. If you have system restore enabled on your system, you can choose to delete old system restore points, except only the recent one. (Windows 8.1) Right-click on Windows icon at bottom left and select Run. 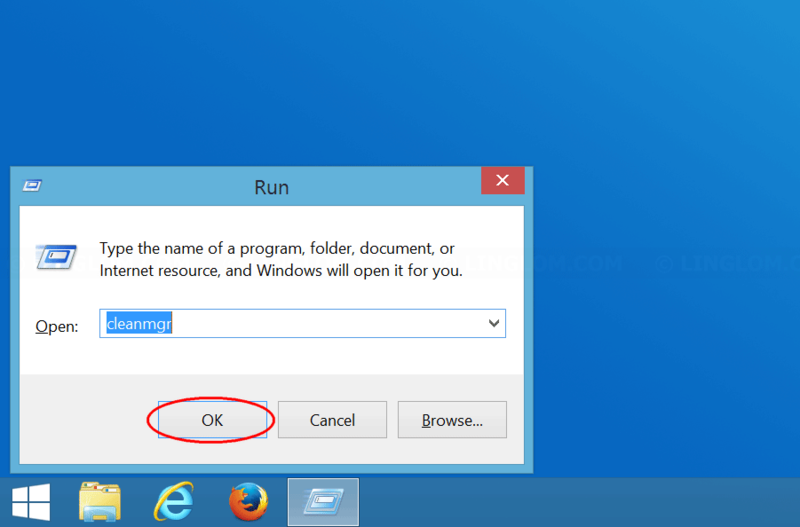 (Windows 7/8/8.1/10) Press Windows + R keyboard shortcut to open Run window. Select drive that you want to clean up, usually, it is C drive. 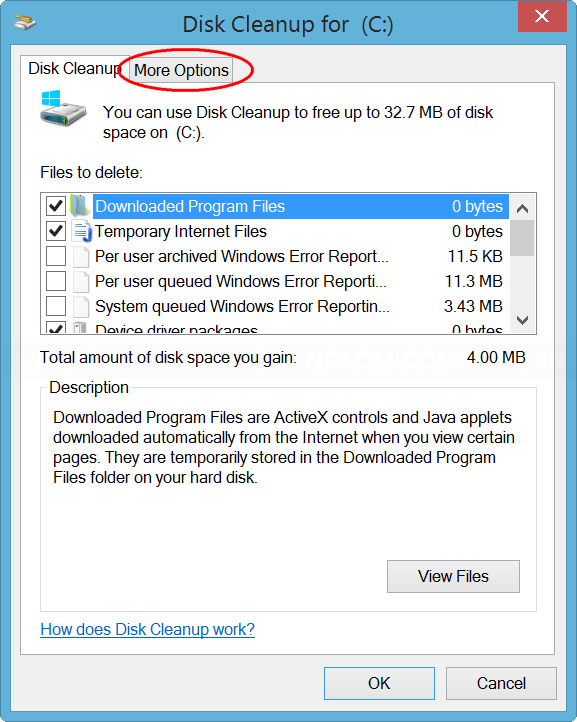 On Disk Cleanup, select option that you want to delete and click OK. 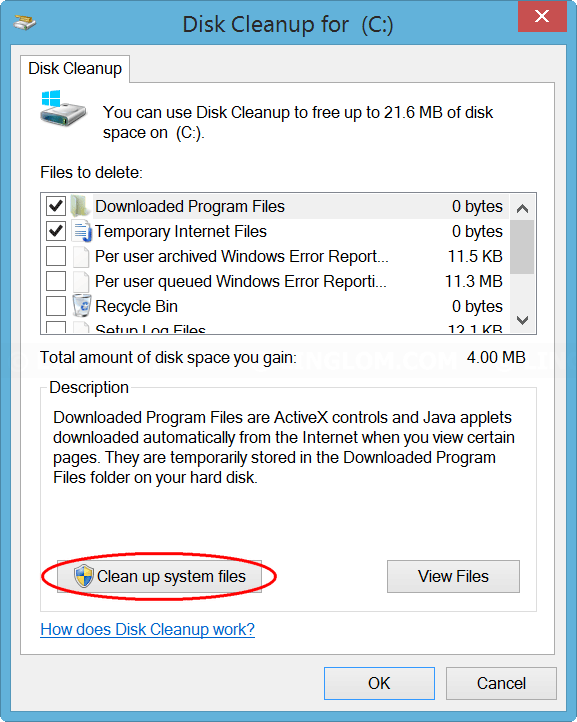 If you want to delete any system file, open Disk Cleanup again and select Clean up system files. Select drive to scan for system files, usually, it is C drive. Then, you can select system file types that you want to delete as same as in step 4 and 5. However, if you have several system restore points and you don’t need the older ones, you can delete them by click More options tab. 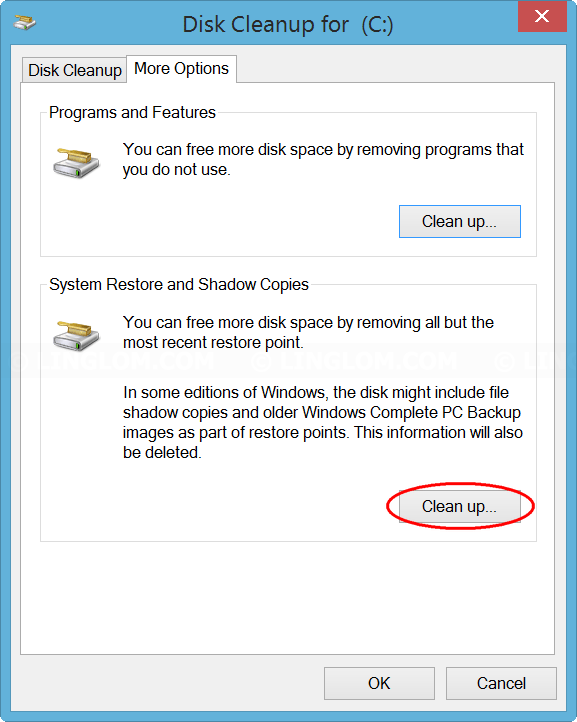 On More options tab, click Clean up… under System Restore and Shadow Copies section and click Delete to confirm.